Thanks in large part to Pope Francis, the Sleeping Saint Joseph has become a widely popular devotion. The Pope advises leaving a "note" under the image of the sleeping saint, as he does, asking for help when there is a problem. He said, "I have great love for Saint Joseph, because he is a man of silence and strength. 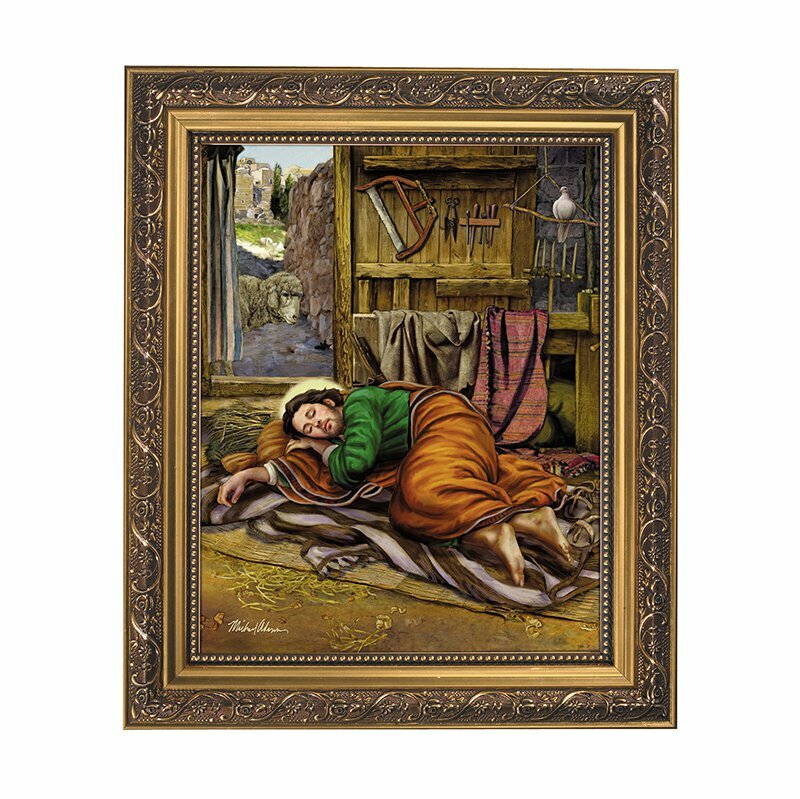 On my table I have an image of Saint Joseph sleeping. Even when he is asleep, he is taking care of the Church! But like Saint Joseph, once we have heard God's voice, we must rise from our slumber; we must get up and act."